Dedra has SO MANY designs, and color schemes, i could literally look through her shop for hours! and for me, being a person who is pretty un-savvy when it comes to digital things, i was pleasantly surprised to find that her graphics are incredibly easy to use! all i had to do was open the file in the program i was using and away i went! so, so, so easy!! it blew my mind. i can’t wait to buy more of her products so i can have some more fun with them! 3 years ago this month my husbands job stopped paying him his full paychecks and instead thought it was fun to give him only half paychecks. Not fun! My husband is a brilliant techy guy and keeps getting great offers but for some reason we have felt like he should stay at this job. 3 years later and we are still in the same boat (and our housing is in limbo…ugh!) except for the mother of necessity pushed me to start an Etsy shop. I sold my wedding ring and bought CS3 and started designing digital items. I’d designed wedding invitations and publications for businesses for years but it was just some extra money here and there. Once I started designing scrapbook paper and clip art I became more than hooked! Since the birth of our first little girl I’ve had severe depression and I now HAVE to design for my sanity. I love it and it really helps me. I love developing and finding new color schemes, researching different parts of the world and their styles and meeting so many amazing people through my shop. 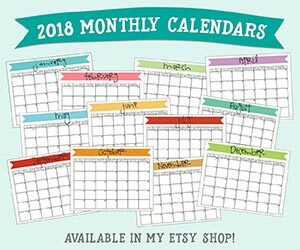 I just opened up a new shop for prints (www.etsy.com/shop/pdprintables) and am in the research and development stage for some really exciting new products that photographers and other shop owners will enjoy. My main shop is Prettiful Designs on etsy (www.etsy.com/shop/PrettifulDesigns). I believe so much in supporting small business so I have really generous commercial license terms. Follow me on facebook at www.facebook.com/PrettifulDesigns or my blog (prettifuldesigns.blogspot.com/) where I give marriage/family advice (my other passion) and talk about how I’m coping with my depression. to enter for a chance to win $35.00 to Prettiful Designs, enter the contest below. contest ends at midnight on january 26th, 2013. Sorry to hear Heather. I’ll keep it in mind for future giveaways.